FIGO is an emerging chamber group specialising in historically informed performance. Described as “super baroque ensemble” by GScene and having “pleasing grace” by The Guardian, the group uses either original or replica period instruments and their interpretation is shaped by 17th and 18th century performance practice and ideals. The group formed in late 2017 having met as Scholars at the Royal Academy of Music. They have since enjoyed various engagements ranging from chamber recitals to larger works such as the Monteverdi Vespers, Bach’s B minor Mass and Haydn’s Nelson Mass. 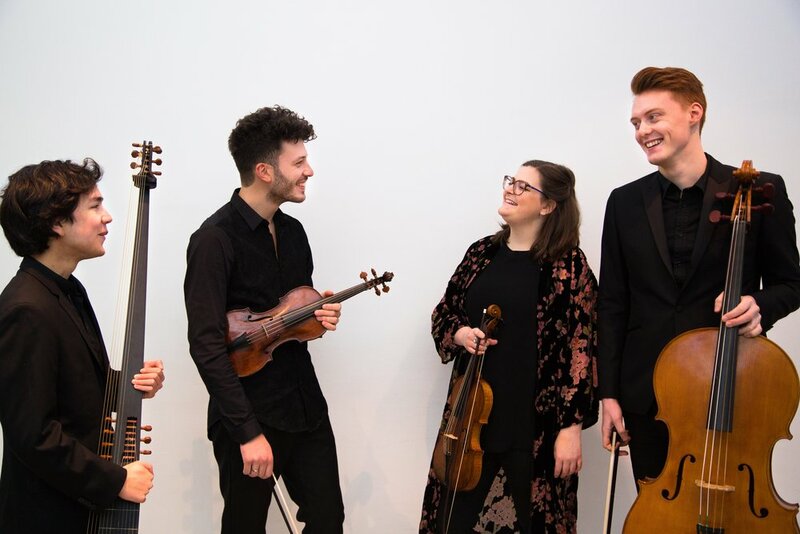 Following a successful residency at Bristol's Clifton International Festival of Music 2018, FIGO is thrilled to have been welcomed back as Ensemble in Residence for both 2019 and 2020. The group adored the opportunity to perform with Rachel Podger ("the queen of the baroque violin" Sunday Times) at her Brecon Baroque Festival Friends Party where Rachel, who described the group as having "charm and excellence", invited FIGO to perform a recital at her 2019 Brecon Baroque Festival. Another highlight was the ensemble’s residency at The Exon Singers Festival which concluded in a live broadcast with BBC Radio 4. FIGO has enjoyed collaborating with Collective31, Erebus Ensemble, The Exon Singers and the Choir of St. Martin in the Fields throughout 2018 and is looking forward to their upcoming recitals at St. James's Church Piccadilly and Newbury Spring Festival 2019 as well as a future collaboration with Sansara. A tour of the North East of England is also in the pipeline. FIGO is delighted to have been selected for the Brighton Early Music Festival Live Scheme 2018/2019 and is proud to be a Concordia Foundation Artist 2019.